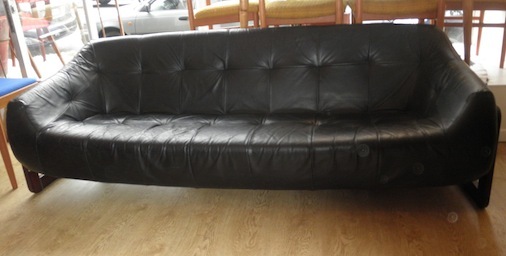 Superb vintage Lafer Brazilian 3 seater leather sofa designed by Percival Lafer circa 1970. 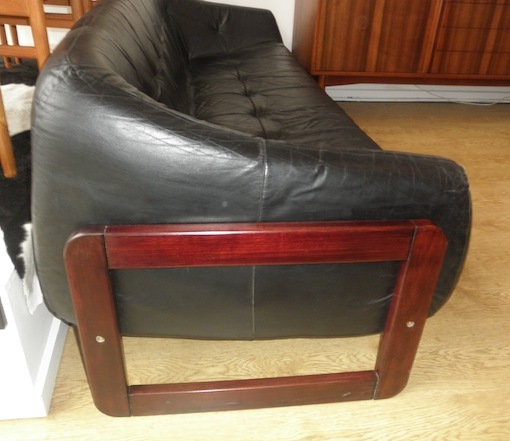 Lafer was a mid century modern designer working out of Brazil, he manufactured high quality furniture that sold around the world. His sofas and chairs are highly sort after as they are practical and stylish and utilise quality materials that stand up to heavy use. 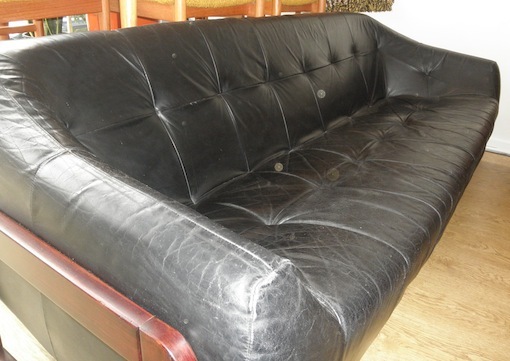 This sofa is one of his best designs and is long enough to stretch out on and the black leather is soft and supple.